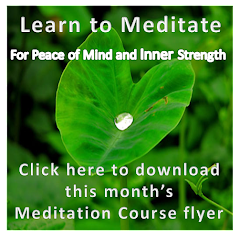 Last month, in the first part of this 2-part series, we discussed how meditation enhances life. This month, let us see how meditation enhances brain development and help us achieve higher grades in school, better career advancement and healthier living. As we discussed last month, meditation can have positive mental and physiological effects on anxiety, stress (which in turn lowers blood pressure), depression, chronic pain, etc. 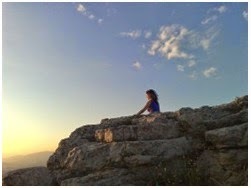 In fact meditation is a sort of self-directed neuroplasticity, that is, effect of thoughts on the brain. We humans do not use the full capacity of our brain. What this means is that you can teach an old brain new tricks. For example, prisoners of war who were placed in solitary confinement (no distractions) developed unusual cognitive capacities that they did not have before because the only activity they were allowed to do was to think. The POWs were essentially exercising their brains. Similarly, when you meditate and focus on Jyotirbindu, a point of light, even for a few minutes a day, you eliminate all the distractions, thereby by placing your brain essentially in a solitary confinement for a few minutes, your brain develops increased capacity for functions such as memory and understanding complex problems and relationships. As you continue to practice meditation and focus your attention to Jyotirbindu and inner consciousness, you will have a growth in the number of physical neurons and neuronal connections in sections of your cortex. Those sections are: the right frontal cortex, related to concentration; the right insula, related to emotions; and the right parietal and temporal lobes related to touch and sound. A recent study also showed that after eight weeks of meditation, brain imaging showed reduction in the volume of the amygdala related to anxiety and stress and an increase in the number of neurons and neuron connectivity in the hippocampus, related to emotion, learning and memory, thus increasing the brain function capacity. Amygdala is an almond shaped mass of nuclei located deep within the temporal lobe of the brain that performs a primary role in the processing of memory, decision-making, and emotional reactions. A very recent study showed that meditation increased connectivity in centers of cortex, spinal cord and cerebellum as well. What’s more, the longer people practiced meditation, the more the increased cortical surface area. 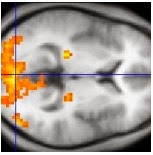 Another study showed that the meditation decreased the Default Mode Network (DMN) activity. DMN is responsible for daydreaming and non-focused internal thoughts which can include memories, thinking of the future, thinking about others and reliving past experiences. This implies that the mind wanders less during meditation. More significantly, a new type of Default Network appeared that not only increased focus and decreased daydreaming, but also increased self-monitoring. In other words, advanced meditators had a new type of “Default Mode” with more ability to control thoughts and emotions, and greater ability to stay focused on the present. What this means is that if you make Raj Yoga your way of life and meditate regularly, you can get better grades, advance your career, improve your relationships and enjoy healthier living.